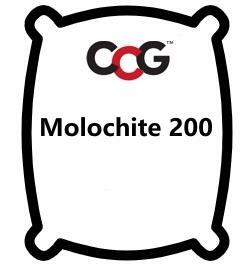 Molochite is a pure white made-made granular material. The granules are hard and refractory. It is made by firing raw low-iron kaolin to very high temperatures to bring about maximum conversion of the clay crystal to crystalline mullite (usually 95%+). The latter has high mechanical stability and resistance to thermal shock.